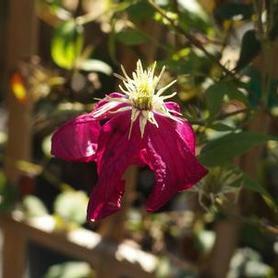 Clematis 'Niobe' has large magenta flowers with yellow anthers. 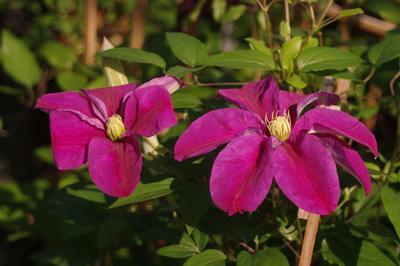 Blooms May to June and again in September. 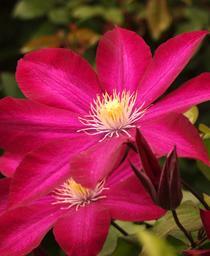 The color makes the flower look velvety.